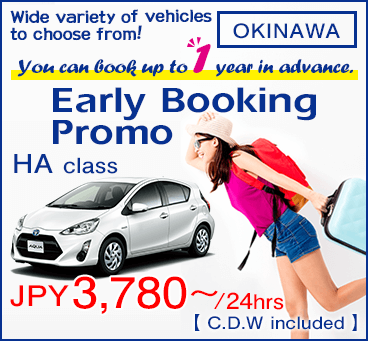 We provide convenient shuttle bus service from Naha airport to Rinku-Toyosaki main office. 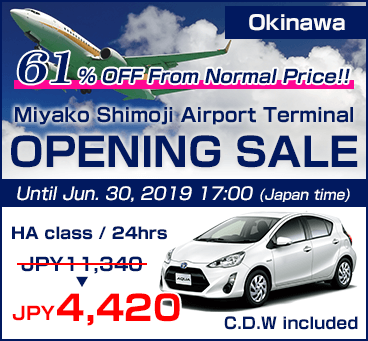 In addition, customers on late arrival flight (ETA after 19:00) are also able to collect car at our Rinku-Toyosaki main office. 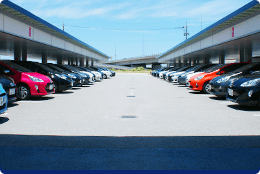 Collecting the car on the same day can avoid the crowd and save time. Kindly note that Tomarin branch, DFS branch will be crowded in the morning. Akamine branch will have lesser crowd. The procedures will also be much faster in the afternoon. Akamine branch is conveniently located near monorail. Free monorail transfer service from Akamine station to Akamine branch is also provided. 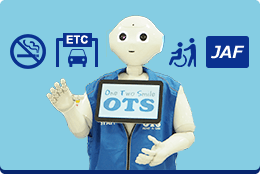 Customers who are staying near monorail station are recommended to collect the car at Akamine branch for a faster procedure. Rent our popular and latest car models at best prices! 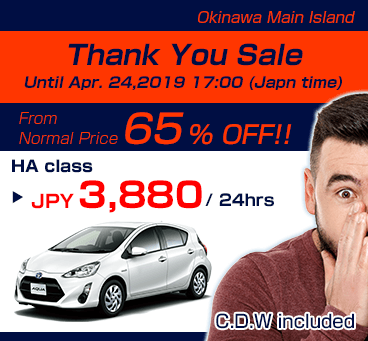 For limited time offer & limited stock promotions in Okinawa, check here. Planning a trip in May? Book now under our "May Sale" !! 53％～71％ OFF the normal price!! Choose from compact to minivan type vehicles. It might be more relaxing to travel after the Golden Week Holiday! 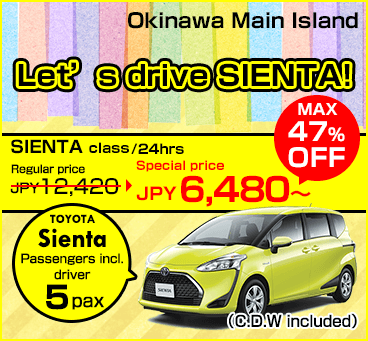 【Okinawa Main Island】Let's drive SIENTA! Let's drive SIENTA!Let's drive SIENTA! Start renting on April 15th! 5 seater with spacious luggage room, door opens wide and high allowing space for souvenir. Accepting booking now! Book now. To express our gratitude, Thank You Sale is now ongoing!! 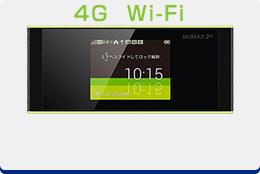 Up to 73%OFF from original price!! Hybrid vehicles, RV, Wagons readily available for you!! Bookable 1 year in advance! "The earlier the cheaper" promo plan. 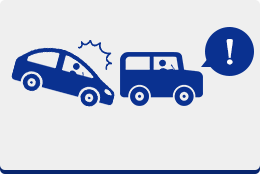 Choose from various types of vehicles from compact to premium cars. 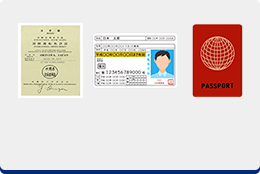 Our offices in Okinawa are conveniently located and easily accessible from airport and transport terminals.